Summer is here, and what better way to celebrate than with a trip to Disneyland Resort? It’s never been easier to enjoy time with your family and friends thanks to the suite of digital offerings now available at the resort. Take a look below for tips and tricks to make your next visit even more fun-filled! Disneyland App – This one-stop-shop for Disneyland Resort makes trip planning a breeze. If you haven’t tried it recently, you’re missing out! The handy app captures attraction wait times, character appearance schedules, entertainment show times and more. Disney MaxPass – Guests are loving the Disney MaxPass feature on the Disneyland App. For $10 per day per ticket, you get the convenience of digital Disney FASTPASS selections while in the park and unlimited PhotoPass downloads for the day. * Pro tip: Group park tickets together so one person can make a reservation for everyone at once. Mobile Ordering – Our latest feature on the Disneyland App gives you the power to order from 15 quick-service and fast casual restaurant locations at both Disneyland park and Disney California Adventure park at the touch of a button. Simply choose a participating location, select an arrival time window for pickup, choose your items and place an order! ** When you arrive at your food location, simply hit “I’m here” and your food will be prepared. 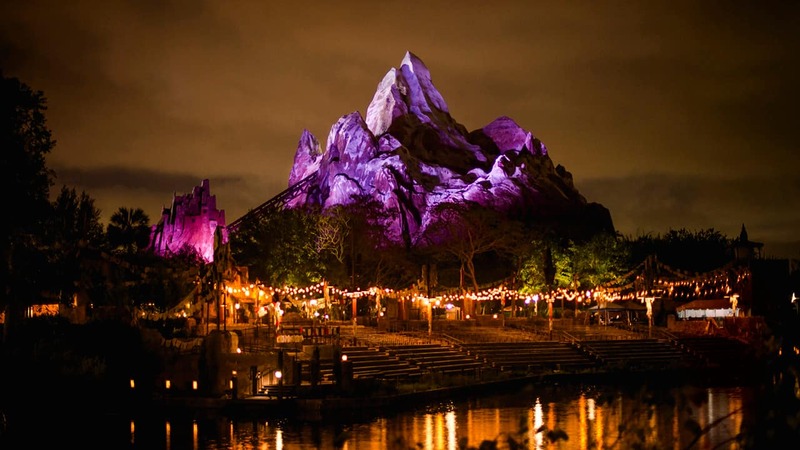 Fan-favorite spots include Bengal Barbecue, Red Rose Taverne and Flo’s V8 Café. Play Disney Parks App – Last but not least, an all-new mobile app just made its debut at Disneyland Resort and Walt Disney World Resort! With select in-queue experiences, fun Disney trivia, curated playlists on Apple Music*** and achievements to earn and collect, this app turns wait time into play time across the resort. It’s free to download now on the App Store and Google Play. There’s so much to do and see this summer at Disneyland Resort – Pixar Pier, anyone? – and these digital offerings will help you get the most out of your next visit! Don’t forget to check out Pixar Fest while you’re at the resort, with new entertainment, décor, themed eats and more through September 3. *Disney MaxPass is nonrefundable. Guests are strongly advised to check the day’s FASTPASS® ticket availability and other Park details before purchasing Disney MaxPass as preferred attractions may not be available at the time of purchase. FASTPASS® tickets are limited and availability is not guaranteed. Disney PhotoPass® Service is subject to the PhotoPass® terms and expiration policy found at https://disneyland.disney.go.com/photopass-terms-conditions/. Online registration required. Disney PhotoPass® photos captured during the day your Disney MaxPass is used must be linked to your Disney account. **A debit or credit card must be linked to your Disney account. *** Some features require an Apple Music subscription and are only available on iOS devices. Separate terms and conditions apply. Message, data and roaming rates may apply for app use. Availability subject to handset limitations, and features may vary by handset, service provider or otherwise. Coverage and app stores not available everywhere. If you’re under 18, get your parents’ permission first. Separate theme park admission required. Subject to restrictions and change without notice. Apple, the Apple logo, iPhone and Apple Music are trademarks of Apple Inc., registered in the U.S. and other countries. Google Play is a trademark of Google LLC. Eric – You will be able to access Disney MaxPass for the whole party from either Disneyland Resort App account. Logistical question about MaxPass: We’ll be visiting with two adults and two kids. Both my wife and I have the DL app on our respective phones. I understand that once we’re through the turnstiles we can purchase MaxPass from the DL app, but I’m curious…do we have to link all 4 tickets to ONE account? Or will we be able to access MaxPass for the whole party from either DL app account like you can with FASTPASS+ at WDW? I realize they are not the same, but I want to be prepared for that first morning and not be surprised by anything. Thanks!